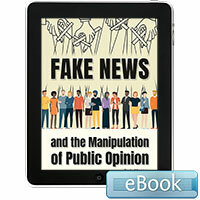 Fake news is not new but, thanks to the Internet and social media, it is spreading faster and farther than ever before. Fabricated stories are creating doubt and confusion and easing the way for the manipulation of public opinion. In some cases, websites and news articles are designed to confuse people into thinking that they are looking at trusted sources and factual stories. In other cases, the label fake news serves as a tool for discrediting unflattering accounts or opposing points of view. The result in all cases is public confusion that, many argue, threatens the foundations of democracy. 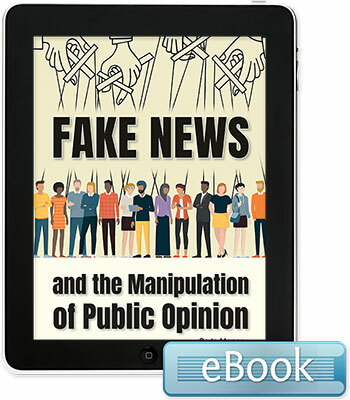 Fake News and the Manipulation of Public Opinion presents a balanced but realistic view of what has been taking place, how, and why. It examines both the consequences of these actions and the efforts being made at all levels of society to end this problem.